This was actually a nice normal month. It didn’t feel like it flew by and it didn’t feel like it dragged either. Maybe this means I’ve started to find equilibrium in life? We started off the month with a Macaroon class at our local Sur La Table and I was very impressed with our product. I can’t wait to try at home now I know basically everything we could do wrong we did last time we tried. I’ve put off posting this since August 1. I actually had a draft scheduled for September 3, and again for both October 1 and November 2. And yet here we are almost two full weeks into November and It’s just now being posted. Only two ARC/Galleys left and I am all caught up! The same publicist who sent me Finally Out reached out about this book and the title had enough humor in it I figured it was worth a shot. * I enjoyed this so much more than I thought I would! What Alan Alda—I didn’t even recognize him from M*A*S*H (IMDb link), I just recognized his caricature—is doing is what the Plain English Campaign (website) has been trying to do since the late 70s, just through a different venue: improv. Both are trying to get things translated from the indecipherable jargon of science or government into easily relatable language. Alda, has basically made a side career out of this with the Alan Alda Center for Communicating Science at Stony Brook University, where the observations he made from his many years on Scientific American Frontiers are put into practice to teach scientists how to talk to non-scientists. Another month gone. I’ve been at my new job for about a month and a half and it feels like I’m still brand new, but also like I’ve been here forever. I’m, of course, still enjoying it and learning more each day about refugees and immigrants and about my own skills. If I thought last month was Cultural, this month was an explosion. Seriously I started the day after I posted the February Culture Corner and haven’t stopped. From Oscar movies and video games to live theater and seeing podcasts live, you name it and it feels like I did it! At the very least look at the pictures and if you see something cool read that paragraph, sorry the post is so long! I’m still exhausted from the month. 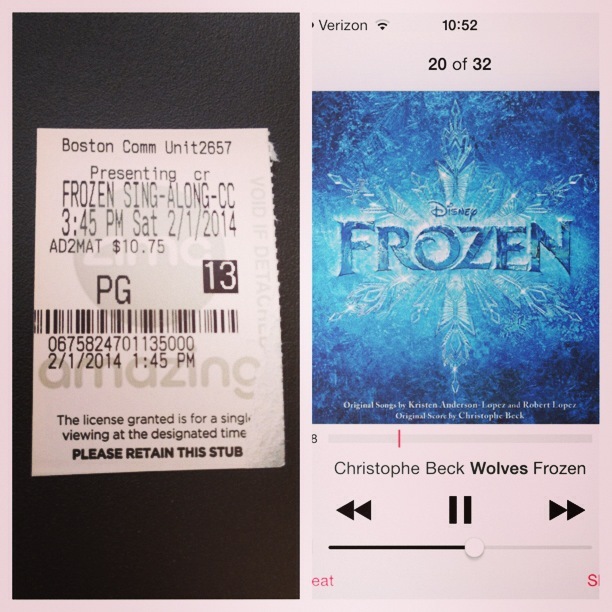 I’m not sure why I didn’t include my visit to the movies to see August: Osage County in last months’ blog post, perhaps because I was momentarily obsessed with Frozen? Either way it worked out as I saw The Dallas Buyers Club the weekend after that posted. And what do they all have in common? The Oscars! I so rarely see Oscar nominated films, but these three I knew I wanted to see and I’m so glad I did. 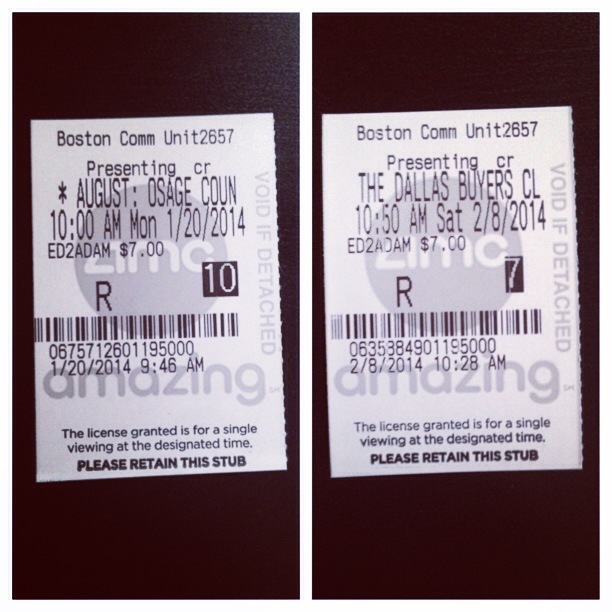 Both August: Osage County and The Dallas Buyers Club left me emotionally drained, but they are definitely worth seeing. I still can’t get over how much weight Jared Leto and Matthew McConaughey lost for the films! And what was the most interesting part of the film is that it shows a part of the AIDS epidemic that isn’t often highlighted.